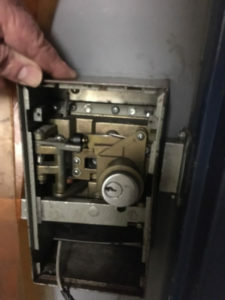 Racine’s Lock & Key offers highly professional and affordable commercial locksmith services – to help you make your office or business premises safe against break-ins. Whether there is an urgent lock out problem or you want to install panic bars or master key systems to upgrade the security of your business space, our technicians can help you with all this and more. Our commercial locksmiths in Racine are fully insured, certified and trained in latest commercial locks and security technologies. Our investment in right people ensures that we always provide the best service as well as consulting on your commercial security requirements. Our technicians are available 24/7 and can reach you within 30 minutes depending on your location. In case you are locked out of your office or can’t access your safe, we offer the same day, on the spot service – so that you are able to run your business without any further disruptions. Our technicians are always equipped with the right tools, machines and hardware to unlock the door without causing any damage, open the safe or even install new locks on the spot if the existing locks have failed or broken. All technicians at Racine’s Lock & Key are trained and experienced in installing all types of access control systems – from biometric locks, access cards to magnetic swipes. We provide high quality yet affordable commercial locksmith and security solutions to small, medium and large businesses across Racine. Call Racine’s Lock & Key at (262) 509-0366 today. Let’s discuss how we can partner to make your office or business premises safe and secure against all kinds of threats like break-ins and theft.